The issue of gender differences and gender stereotyping play an important role in the career counselling, choices, and placement processes in professional institutes. An urge to simplify the social reality tends to create gender stereotypes which results in two consequences: (a) a simplified version of complex reality, and (b) a resistance to change reinforced by a series of cognitive, behavioural, and language mechanisms. This tendency results in the misinterpretation of the social reality. The beliefs formed on the basis of the attitude of simplification accentuates the association between particular professional categories and gender. In other words, certain professions are considered appropriate for female professionals and certain others are regarded good for their male counterparts. It is generally assumed that that gender stereotypes diminish when academic excellence is given primary importance in our premier institutions like Indian Institutes of Management (IIM). 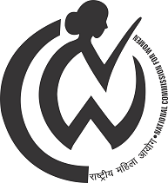 Against this backdrop, National Commission for Women has sponsored a National Seminar at IIM Kashipur to discuss various aspects of gender stereotypes from an academia-industry perspective on the career preferences of graduates of these institutions and suggest ways to decrease such gender stereotypes. On the side of the seminar a methodology workshop will also be held on 17 Mar 2019 for Research Scholars and academics. The workshop will look into latest research methods in gender area that can help scholars in: (1) Identifying roots and mechanisms with which gender stereotypes are created and sustained, and (2) Identifying methods of elimination of gender stereotypes. Title of the paper must not be more than 15 words. Name of the author with a footnote. Position, affiliation, email and mobile number should be mentioned in the footnote. Abstract should be written in English (United Kingdom) within 250 – 300 words. There should be 4 – 5 keywords followed by abstract. Font type- Times New Roman. Font Size- Title (14), Abstract (12), Footnote (10). 1.5 spacing with 1-inch margin in all sides. Submit in MS Word document. Full paper must be within 5000 – 6000 words including references, tables and figures. There are no participating fees for the seminar. In addition to this, organisers will cover food and modest accommodation from the night of 17 March to the morning of 19 Mar 2019. The participants are required to cover their own transportation to IIM Kashipur. A volume of selected papers will be considered for publication from a reputed publishing house. The Indian Institute of Management Kashipur is a member of the elite league of IIMs. The institute is set up with the objective of providing quality management education while sensitizing students towards the needs of the society. 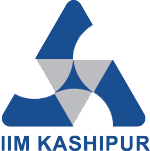 IIM Kashipur commenced operations in 2011 under the mentorship of IIM Lucknow. The institute offers Post Graduate Programme in Management (now MBA), a two-year full time residential programme. The rigorous curriculum seeks to instil a passion for knowledge and ability to apply that knowledge to real life scenarios. The programme lays emphasis on all-round personality development and inculcates the values of leadership and integrity. The institute is located in one of the most densely industrialized regions in the country with over 180 industries having plants in and around the region and many more coming up. This places the institute at a vantage point when it comes to ‘Learning by Doing’ via frequent industry interactions and live projects. The Institute also offers Executive Post Graduate Programme called MBA(WX) for working executives. Fellow Programme in Management (FPM) and Executive Fellow Programme (EFPM) equivalent to PhD are also offered.IIM Kashipur believes in a strong industry connect and has invested in developing relationships with local industries. The Centre of Excellence in Public Policy and Government (COE-PPG) of the institute is a platform to serve as a bridge between policy makers, government agencies, civil society, industries and academia by supporting scholarly research, training programmes and other capacity building activities. The centre has undertaken regular research, training and capacity building projects funded by the Government of India, ICSSR, The World Bank, Shastri Indo-Canadian Institute and other state government agencies.